That keeps my total weight loss at 55.3 pounds! I'm a little disappointed but not discouraged. In the last 27 weeks, there have only been 3 weeks where I saw a 0 pound loss on the scale... and with a 55 pound weight loss under my belt, I know that I have been successful! What is your favorite way to reward yourself for reaching a goal? Oh wow! That's such a cool concept. You can do it! 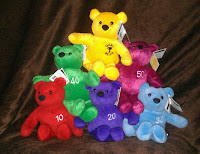 Here's hoping you get that 60 lb loss bear! Wow. That is awesome. Even if you do not hit the 60, that is still one heck of an accomplishment. You should be proud. What a neat idea! Incentives definitely help and these are both adorable and motivating! Congrats to you that you've been doing so well! I didnt know that they had these...great idea and WOW! SO many accomplishments in a short time. 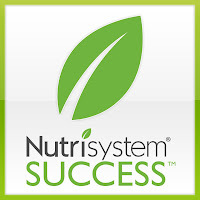 YAY you and YAY nutrisystem. 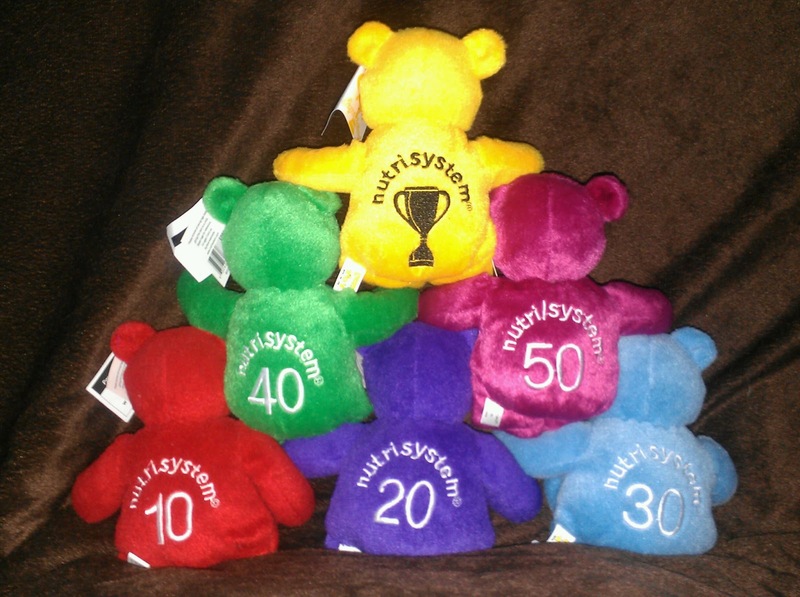 A zero still isn't a gain, and look at all those bears you've earned! That is a great incentive.they are too cute. Congratulations on your weight loss. Those little bears are soo cute and help remind you of your journey so far. Keep it up! Wow! 55 pounds?! That's amazing!! Congrats! That is awesome!! I know you can do it!! I love rewarding myself with new clothes. I rarely get new clothes for myself, so it's a big motivator. Keep up the great work! Congrats on the amazing results! This inspiration comes at a great time for me as I set off on my own weight loss journey. Are these deals applicable to Nutrisystem in Canada too or only US? Thank you so much for your words of support and encouragement, each one means the world to me! Adrienne - YES! These deals and discounts are valid in Canada too! Good luck to you as you embark on your weight loss journey! Those bears are a great incentive and super cute!